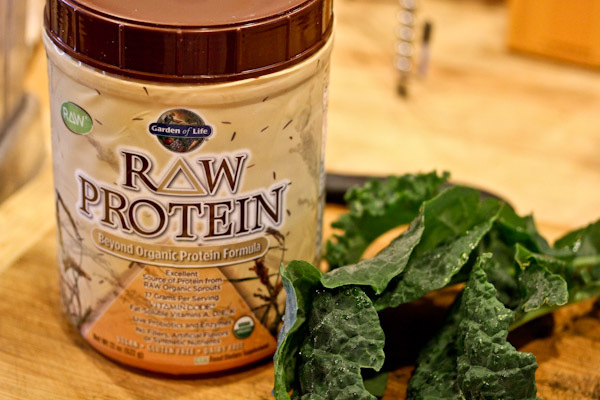 I’m starting the new year with a new raw protein powder – Garden of Life’s Raw Protein. For some reason I’ve been passing this one by at Whole Foods for months, it’s never been on my radar, even though it’s cheaper than Sunwarrior protein. Possibly because it’s not flavored and I just assumed it would taste like plain hemp powder – slightly gritty and tough to mask in smoothies. 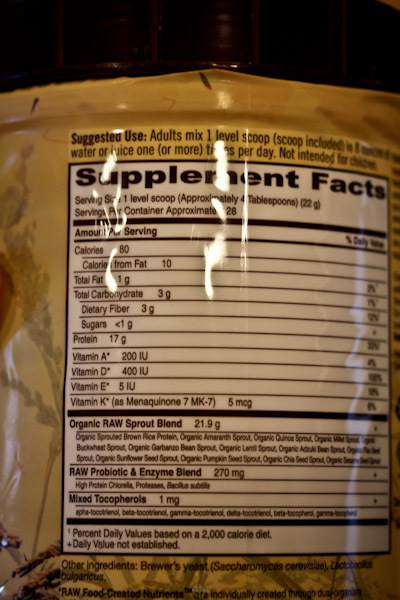 I came across it again on Amazon and decided to try it looking at the even cheaper price and the impressive nutrition facts, I liked that it’s fortified with probiotics and noticed that smoothies seem to digest even better the last few days I’ve been using this protein. 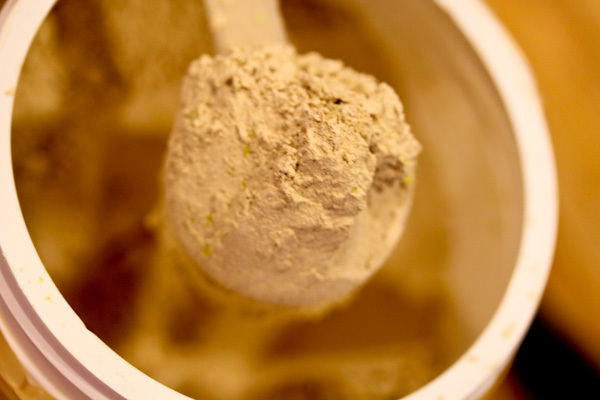 It looks like just about every other protein powder in a super fine powder that blends easily and smoothly and would probably work well on the road with a Blender Ball. But it really does not have a flavor which is good for going either sweet or savory, but also means I have to get a little creative using fruits, stevia, and maybe a little vanilla or cacao powder in smoothies to add flavor. I like the price of the protein powder and the way it makes my stomach feel, so I’ll definitely keep it in my protein powder rotation. Last night we had a casual dinner gathering at my sister’s house and dinner was an interesting mix since my kitchen is basically empty. 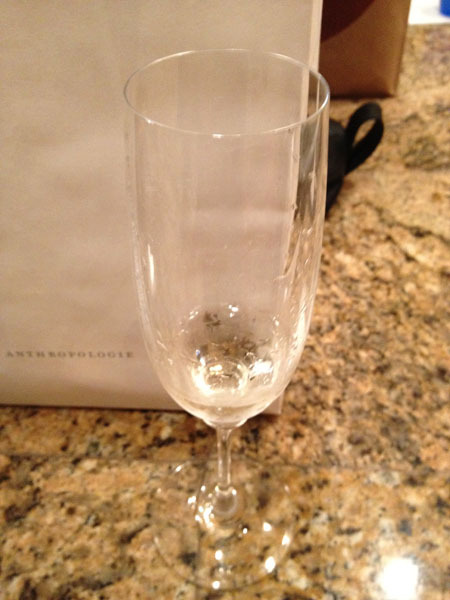 We started the evening polishing off leftover New Year’s bubbly. 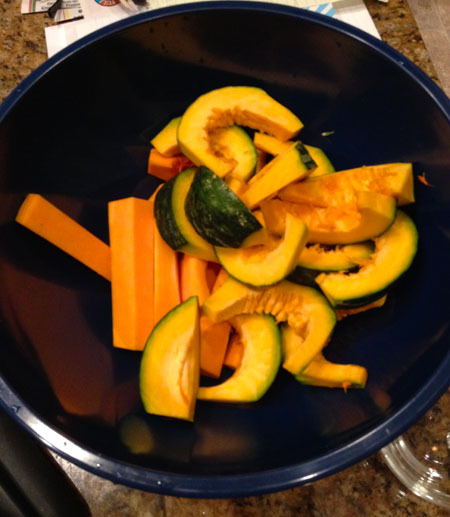 I chopped up a kabocha and butternut squash from our garden to bake with a little coconut oil. 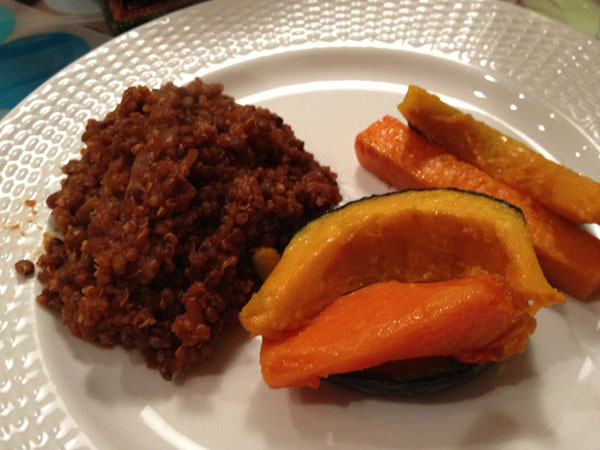 While we assembled the Spanish Quinoa recipe from Peas and Thank You, but we cut the quinoa in half and added lentils to make it more of a vegan main dish. 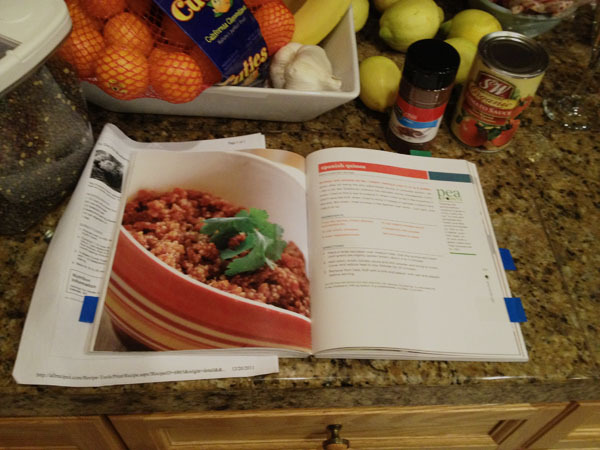 The recipe is simple and comes together fast. The added step of toasting the dry quinoa before cooking adds a heartier and nutty texture to it, something I need to try with more quinoa recipes. It’s still hard to believe 2012 is here already, I know I’m going to be typoing the year all this week. But I’m also looking forward to what 2012 will bring. I’m not huge on setting New Year’s resolutions, they’re kind of stressful and there’s no time for improvements like the present instead of waiting for a new year, right? But I like to set goals and look at what plans the year might hold. I’m completely redoing this site at some point in the near future with new graphics and a better theme. It won’t be right away since I’m doing it all myself, but I can’t wait since I’m ready for a new look! Last year we made great progress in decluttering our home with a new, cleaned out office and being able to get 2 cars in our 2-car garage. I’m continuing with that goal this year getting rid of anything I’m not using and keeping the house simplified and under control. Something I’ll probably be writing about a lot as I keep the kitchen under control and work on improving my house cleaning system. This might finally be the year I get a new car … maybe. I’m cheap when it comes to cars, I’ve been driving the same economy car for over 10 years. 1 apartment, 2 houses, 5 jobs, 4 hurricanes, a cross-country move, and only one car – I’ve been through a lot with it and it’s been amazingly reliable, efficient, and fun to drive. I’m kind of attached to it and sentimental about selling it. But I’m obsessed with environmentally friendly cars and there might be one coming out this year that’s perfect for me. We’ll see! I really want to expand our garden by adding another planter bed and maybe a nut tree, but in a way that fits our busy schedule lately – should be interesting. Of course saving money is always a New Year’s goal for me and I did pretty good for 2011 not splurging too much. But there’s always room for improvement and retiring early is appealing! I think your goal list is great. One of our cars I bought in 2000 and has well over 100k miles on it, it runs, it’s in decent shape and it’s…paid for :) So I completely understand your logic on that. Thanks and that’s great about the 2000 car, mine has been paid off for years too, I’m spoiled by that. Happy New Year, Christine! Your New Years Day meal looks and sounds yummy. Cheers to you on your list of goals. I,too, am intrigued with the eco-friendly cars and am in the same boat as you. :-) May 2012 be a great one for all! Happy New Year to you too! May 2012 be great!